PKNIC prepaid card is actually a special type of pin code that is being used for recharging .pk (Pakistani domain) domain panel. With this credit one can register or renew any of Pakistani domain name including .pk, .com.pk, .edu.pk, .gov.pk, .gop.pk est. 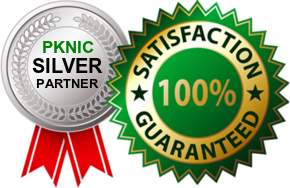 Islamabad Web hosting is one of the top reseller of PKNIC. IWD is providing the very cheap rated and very low price PKNIC Prepaid Cards. You can get PKNIC Cards from us in any quantity. Our prices are more negotiable for PKNIC Prepaid Card bulk orders. If you have registered your .pk domain with any domain registration company in pakistan and now you want to renew your domain and your domain vender demands extra money for it, then don't worry, here we tell you that you can renew your Pakistani domain by yourself. You need not to ask them to renew your domain simply got a PKNIC prepaid card from us and renew your domain yourself or may ask us to renew that. PKNIC card can used for registering or renewing any ccTLD domain that is being offered by PKNIC registry. Wanna buy cheap PKNIC card in Islamabad, then get it from us, our prices get lower as quantity increase, you can get more discount with our bulk PKNIC card plans. More Quantity Means More Discount!! Get PKNIC Prepaid card and renew your .Pk domain by yourself! PKNIC Cards Prices as per Quantity.